About 13.7 billion years ago I heard a very loud noise - did you hear it? edit: nevermind it's Wayne Taylor. The first guy is Tom Kendall. P&M work with a composite body manufacture out of Indianapolis, which makes the Corvette C6.r bodies for them. Is that Prototype Development (? ), as I know GM uses them for other composite work. Which is Mark Scott's company after the Riley & Scott sell off to Reynard. an aside; Which I believe is now Riley Technologies LLC (G.A. Proto). As for P&M being able to build their own composite chassis - no worries, mate! They have become very secretive of their stuff, build most all their own propriatary items in house from drivetrain to suspension bits and only "farm out" what they probably don't feel is as secretive. Soooo...yeah, when they go upstream w/ a Prototype program, don't expect them to need to look outside that huge facility in New Hudson. They have upwards of 150 employees to keep busy and the latest/greatest equipment to build race cars! Plus...keeping the GM monies, they would have access to their proving/testing grounds and wind tunnels. Outsourcing is not a bad thing. Audi does it quite effectively, including the chassis tubs and gearboxes for the R10 and formerly the R8. And btw, welcome to Ten Tenths sportycar. Last edited by jhansen; 19 Sep 2007 at 00:06. Yep. The tubs are built by Dallara. Not sure who does the gearboxes now...is it Hewland or Ricardo? More then that. The current LS7.r Corvette motor without air restrictors is esstimated, but not tested by the builder, to put out close to 900 bhp. Many hot rod shops have taken the LS2 ( 6.0l) not race shops but also not backyard mechanics have porduced low 600 bhps. exactly, and you can run them bigger too, as its a push-rod engine with a single block mounted cam.......from memory, GT1 runs a pair of 31.8mm.......the LMP1 regs allow a pair of 33.1 restrictors for a 6.0 pushrod 2v engine.......as a guide the 5.5 judd runs a pair of 32.4mm restrictors........hence my strong belief a proper long stroke push rod 6.0 V8 will make a fantastic LMP1 motor, with 650bhp and 800Nm of torque. It is the lack of US engine builders, besides factory funded Katech, that is so miserably missed in the IMSA series. There is a near plethora of engine components from makes that still exist,or did exist, out there that the IMSA is either afraid ofm or simply ignornant of ,that could put the series back in the minds of eye of the tens of thousands of US gear-heads, that now flock to Pro-Mod drag racing, including auto related sponsors. 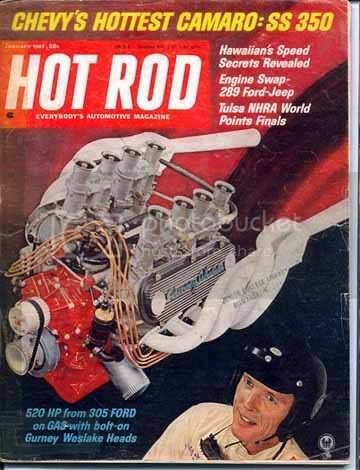 Many high performance magazines now have articles on the seven to eight hundered horse power engines built, without exotic components, by the near myriad of engine builders in the US using 91 octane street gasoline. Even the controlled Engine Masters series has even more controlls as while many after-market hi-po parts could not be used, engine builders would simply modify prod. parts from other manufactures to substitute for what was lacking. I.e. Honda connecting rods were being used in many makes of engines. Chevy was smart to keep the Corvette program going, even without competition, as it still gets page space in high performance magazines, with or without competition here, as often even in magazines that deal little, to none, with overseas racing, the cars competing over there are now getting page space. It makes far more bang for the bucks sense for Chevy to go to GT2, and influence the IMSA to make GT2 replace GT1 with modifications than for Chevy to waste money on a P1 car. Now for Pratt&Miller to got p racing, using THEIR time and money and win, THAT would put them on the map in bold letters. GM is putzing around in GARRA with the faux Pontiac, but I believe that the next few years what Chevy, Corvette, IMSA and GARRA do will determine how US sport car racing pans out in the teens, AND whether or not the Trans-Am is or is not revived with Chevy moving there and shutting down the Corvette effort. 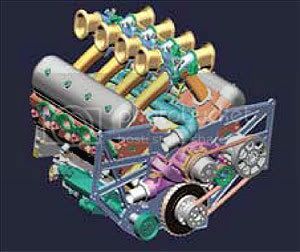 At a minimum, hundreds of thousands of dollars were spent for special cylinder heads to make the seven liter engine perform as well as it does on the lacking amount of air/fuel mixture allowed. To assume that a tiny fraction more air, in a greatly reduced capacity engine will suddenly work wonders is wishfull thinking at best. It will again take an effort, at the least, equal to the previous one, to make new cylinder heads designed to work at a new bore and stroke to try to equal hp output with less inches cubed than before. Long stroke equals greater friction, not less. WIth air restrictors YES, and not too difficult to accomplish. and Bob is correct. 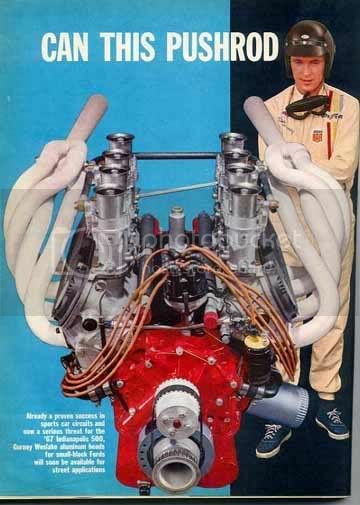 The development of the Small block Chevy, and the Ford engines are amazing what Hot Rod shops are doing. Power is going up AND fuel millage is going up. Mostly from optimizing Head and intake flows along with specialized cam shafts configurations.